One of the coolest album covers of all time thats for sure !! Seminal album before they added Craig Frost and started their downhill slide into Popish rock. Totally badass album front and back. This was back in the day, when the "good" bands didn't give a crap if you liked their music, they played what they were passionate about! Side one can rank up against any album ever released for consistency and sustained rockability. One after another the songs seamlessly move across both sides of the vinyl providing the listener not only with some great head-bangin' songs, but also fantastic emotional and political content. Listening brings one back to the days when songs were meant to inspire rather than being produced to sell what passes for music at a particular time. Solid Guitar work by Mark Farner, providing lifting solos in "Footstompin' Music", "Lonliness" and "I Come Tumblin' " along with a smokin' stew pot of guitar and harmonica on "Upsetter". I Love Farner's vocals and feel like singing along every time I listen to this album. This is due to the acessability Farner creates by singing honestly, with that passion coming through so clearly, you just get caught up in the mood! Bass by Mel Schacher is fat, loud and so underrated it's a crime. Don Brewer is solid on drums and vocals. 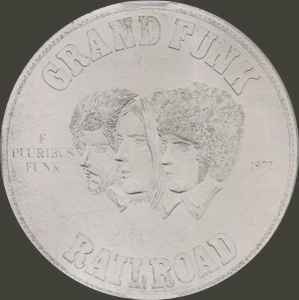 This power trio was more noticed later in their career with a softer Pop Rock approach, but in the early 70's, GFR was known by those who knew. Sporadic radio play on AOR FM stations did not give them traction that other heavily played bands enjoyed, so they made their name by playing killer shows and putting out albums you could play front to back without lifting the needle. I think this was their best.